Today, we wrap up our Stamp Highlights with Holly's Snowflakes! 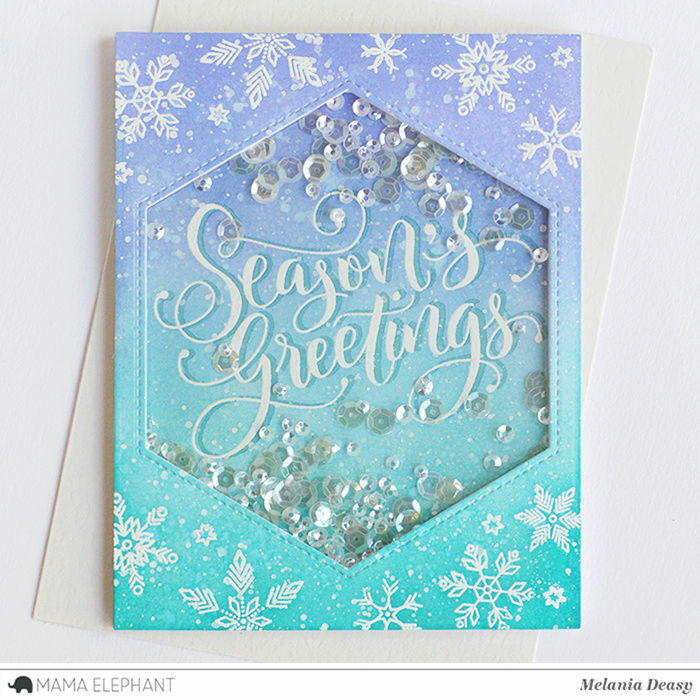 These snowflakes by Holly Brooke are so pretty! Amy sure knows how to make those snowflakes pop against the pink and magenta background! We are so in love with Anna's 'light blue chalk' card! She created amazing 'frozen window' design! Deasy made a holiday shaker card by combining Holly's Snowflakes with Season Wishes stamp set. 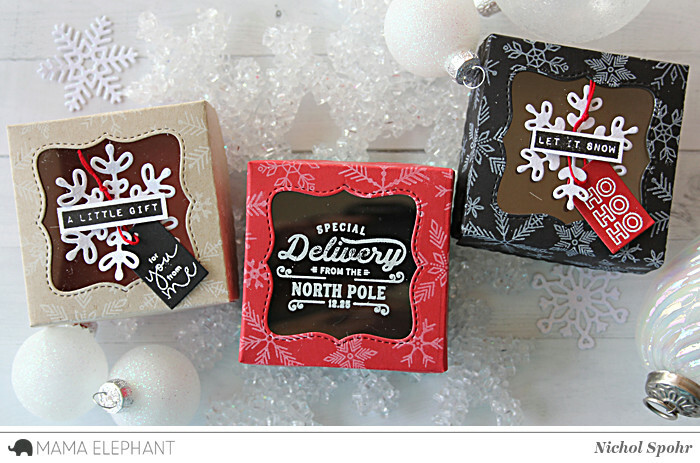 Nichol decorated a trio of Scallop Square Boxeshttps://mamaelephant.com/products/scallop-square-box-creative-cuts by stamping Holly's Snowflakes on the top of the box with white pigment ink and adorning the cut out window with die cut Snow Flurries, Occasional Labels, Mini Messages/Tags, and Retro Holiday Labels. Remember to come back next week as we continue with more project inspiration with Designer Series! Love the cutouts on the cards and boxes. I love these snowflakes!! So delicate and beautiful!! Love those boxes!! With many popular online casino games such as Baccarat, slots, online casinos, roulette, slots, gourds, crabs, fish and more than 200 online gambling games can be played live casino online through the website. Or through the program installed on your computer or mobile. Ensure that playing online casino with us Golden slot you will enjoy the fun of the many casino games that we collect and also enjoy the convenience of playing the casino can really enjoy the game. Online casinos simply by playing and betting through the online casino game site. Can play comfortably anywhere, anytime, 24 hours to play casino games in new ways. We have it. สล็อตออนไลน์ The games that cater to the needs of online gamblers are the best. The game that appeals to our players more and more in online games. It is considered to be the best game that we have encountered with the novelty of interest in our online casino games, we are interested in the details of online gambling. All these projects are just beautiful ! oh wow! those are gorgeous projects!